But that has proven difficult: European companies have quit Iran, arguing that they cannot risk their U.S. business. I am asking for WORLD PEACE, nothing less!” Trump tweeted on Tuesday. “If the ayatollahs want to get out from under the squeeze, they should come and sit down. The pressure will not relent while the negotiations go on,” Bolton, one of the administration’s main hawks on Iran, told Fox News. Washington accepts that Iran has complied with the terms of the 2015 deal reached under Trump’s predecessor Barack Obama, but says the agreement is flawed because it is not strict enough. European countries fear that by abandoning it, Washington could undermine Rouhani and strengthen the hand of his hardline opponents. 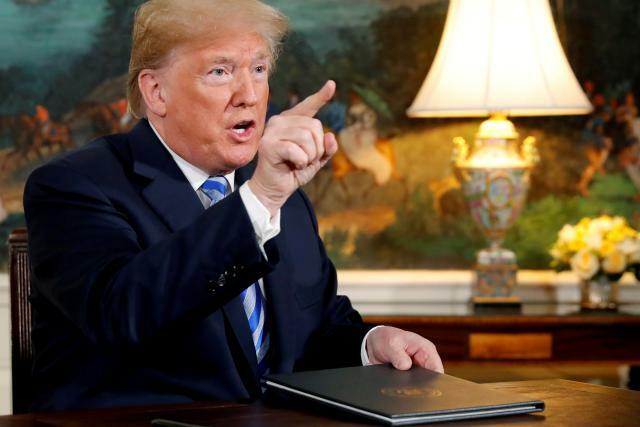 But many Iranians have yet to see major economic improvement, and the prospect that Washington would reimpose sanctions has helped drive a collapse in the value of Iran’s currency this year, raising the cost of imports. Iran’s security forces have responded firmly to protests against rising prices. Iran this week made it easier to access foreign currency and said it was prosecuting an ex-central bank official for economic crimes. “(Sanctions) will definitely make daily life harder for Iranians,” said Saeed Leylaz, a Tehran-based economist and political analyst. “As a matter of principle we are against sanctions in the region. Blockade and sanctions destroy societies and do not weaken regimes,” Prime Minister Haider al-Abadi said on Tuesday.